potentially nervous: on set for demanding fans. on set for demanding fans. 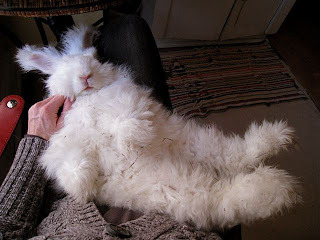 Hard to believe, but true this is a real rabbit, WOW! I was just thinking the same thing, "Are they for real?'. Looks like a soft toy!! Hugable!! LOL, same comments as the rest! That can't be a real bunny!! What ever you do, do not touch my feet! I think the bar has really been set for cuteness by this pose. hey! you lookin' at my feet? don't you be lookin'at my feet!